Have you ever known an angel? If you are a dog lover like me, you probably have. Back in the summer of 2015, I was researching for a documentary about the benefits of raw dog food. I have a 14-year-old Golden Retriever who is the love of my life. She has been on a raw dog food diet for seven years and is in incredible health, especially considering her age, and I wanted to share our success with everyone through a documentary. But what I found when researching "dog food" blew my mind. Trust me, it is nothing like you are thinking. I came across a topic that is hard to talk about, much less look at. In fact, I turned away from it the first time because I was so horrified. I understand if you quit reading this article halfway through, and honestly, I can't blame you. But I do ask that you try and muster up the courage to read this in its entirety, click the related links, and educate yourself as to what is going on. The fact is, by turning away and pretending this doesn't exist, we give our consent to allow it to continue. What I am talking about is the Yulin Dog Meat Eating Festival held every summer in Yulin, China. Yes, you read that correctly. Dog Meat Eating festival. People eat-and enjoy-dog meat. Let that sink in for a second. Every summer for one week during the summer solstice, upwards of 10,000 dogs and cats are slaughtered for human consumption. Some say it is ancient tradition. Some say dog meat is consumed out of necessity. What I have found in my research and through talking with people directly associated with this event, is that it is neither of these reasons. Yes, dogs have been consumed throughout history when food is scarce, but food is no longer so scarce that dogs need to be consumed. As a matter of fact, dog meat is considered a delicacy and goes for approximately three times the price of beef or pork. What's even worse is that it is believed that torturing the animals makes the meat more tender. The festival is fueled by the dog meat trade, which runs rampant throughout Asia and even exists in the U.S. backed territory of the Philippines. The dog meat trade is a savage and devastating black market business that is "illegal" in some countries, though there is little to no punishment for people who are found to participate in the trade. There are figures out there estimating that around 70% of dogs who fall victim to the dog meat trade are stolen pets. Pets. Just like our loved little ones. Dogs have been found hanging in the meat market with their collars still on their necks. Military and police dogs have been found slaughtered and processed and are identified by the tattoos on the insides of their ears. Families and children lose their pets to black market all too often. Click here to read the story of the five-year-old girl who finds her missing dog, Flower, at a meat market stall. Caution, this is a heart-wrenching story. There is a very interesting divide that is occurring in China because of the trade. Children and parents are divided, as are neighbors and friends. As China develops, the urban areas are rapidly adopting a more "Western" attitude. They love their dogs. Many Chinese citizens treat their dogs as Americans do, doting on them, taking them to dog spas and daycares, carrying them in baby carriers, and adopting them as members of their family. It is not all Chinese citizens who eat dog meat, only a small portion. However, by sheer numbers, that still means that millions of dogs lose their lives every year to the trade. 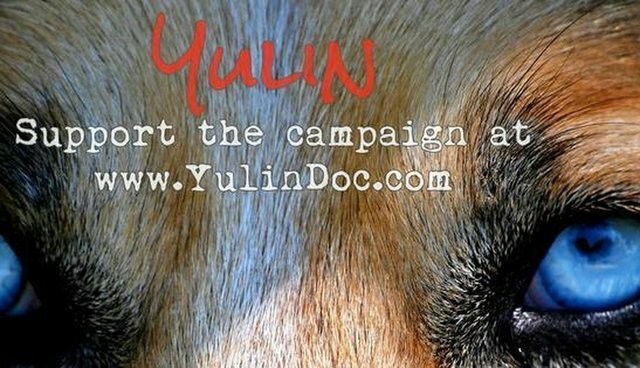 There are a number of passionate Chinese citizens and activists from around the world who are working to stop the dog meat trade. Sometimes they even put their lives to do so. Many have participated in dangerous highway stops where they force the slaughter trucks to stop. Thousands of dogs have been rescued this way. You can read the related article here. Slaughter trucks are possibly one of the most inhumane components to the dog trade. The traders stuff these dogs into cages so tightly that they can't move. They are transported thousands of miles without food or water, defecating on each other and suffering through extreme heat and cold. Many die in transit. Most arrive at their slaughter destination with some kind of disease or malady. The conditions are terrible, and the dogs suffer greatly. 1.Dog meat is consumed worldwide but is concentrated in Asia, the Philippines (a U.S. back territory) and in Switzerland. The latter blew my mind. 2.Many of the dogs in the Asian trade are considered to be stolen family pets. Many who are rescued still have the collars on, and some who are processed for the meat market still have their collars on when the meat goes for sale. 3.Many, many Chinese citizens are fighting against this festival. Dog meat eating is not something "the Chinese" do. It is something that a small population of its citizens participate in. However, by sheer volume alone, that means thousands of humans eat dog meat, and that unfortunately that means millions of dogs will fall victim to the slaughter. 4.This topic of consuming dog meat is dividing families, households and generations. The younger generations are generally opposed to the trade, whereas the older generations are the ones still actively eating dog meat and trading the dogs. 5.There are reformed dog meat traders out there who condemn their involvement in the trade and have worked to become farmers or adapt a different skill set in order to make a living. 6.Many people advocating for dog meat say that it is cheaper, when in fact, dog meat is used for celebrations, special occasions, and is said to be approximately 3 times more expensive than pork. 7. Allegedly, the Chinese government feels that the trade will die off on its own and therefore does not actively make and enforce laws prohibiting this gruesome and torturous business. This topic is becoming more pronounced, which is a great movement towards the effort to stop the torture and slaughter of dogs, especially at the Yulin Festival. Celebrities are calling for action to end the dog meat trade. News outlets such as CNN, BBC News, The New York Times and many more are all covering this story and trying to bring it to peoples' attention. In even more encouraging news, on Thursday November 5, 2015, Parliament met and debated the trade and how they can take action to impact it. By focusing on the dog meat trade from the angles of human health and animal welfare issues, Parliament is hopeful that they can make an impact and enocourage the countries involved to stop it. The video is long but the information is extremely positive. To view the video from Parliement click here. This is positive movement in the right direction, but is it enough? What is it going to take to stop the brutality to our canine companions and the horror that is the dog meat trade?